Kua tae te wā - It's time. This year, we’ll continue to make the message loud and clear – it’s time. Time to lead, teach and learn. Our students come to school to learn all the skills and abilities that they’ll need to grow up healthy, happy and productive in the 21st century. Our nation can afford to ensure every child receives the education they need to succeed in life, and for every educator to be trusted and resourced to make that a reality. It’s simply a matter of priorities. 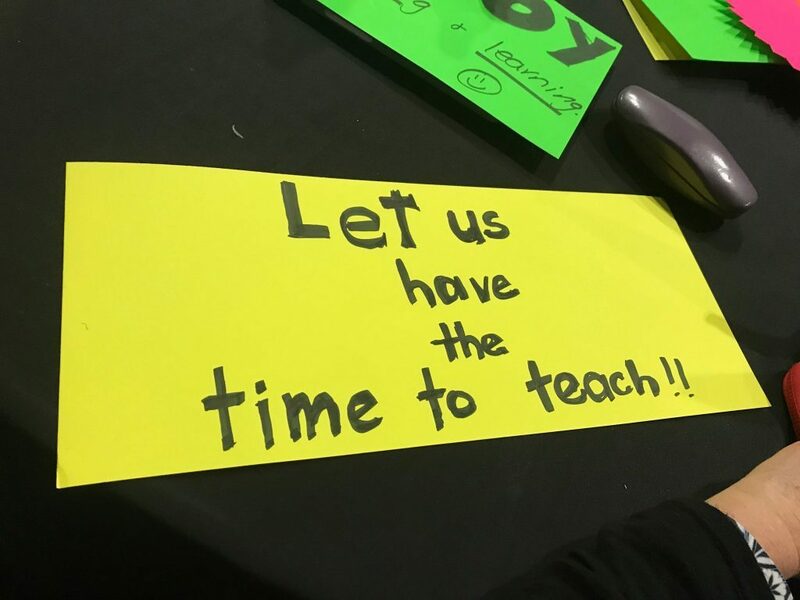 As we continue to go through negotiations for the Primary Teachers’ and Principals' Collective Agreements this year, we’ll be standing together for our students and for an education system that values, attracts and retains the amazing teachers who are entrusted with the education of our children. Throughout the negotiations it’s important that every member has their say in this crucial campaign. 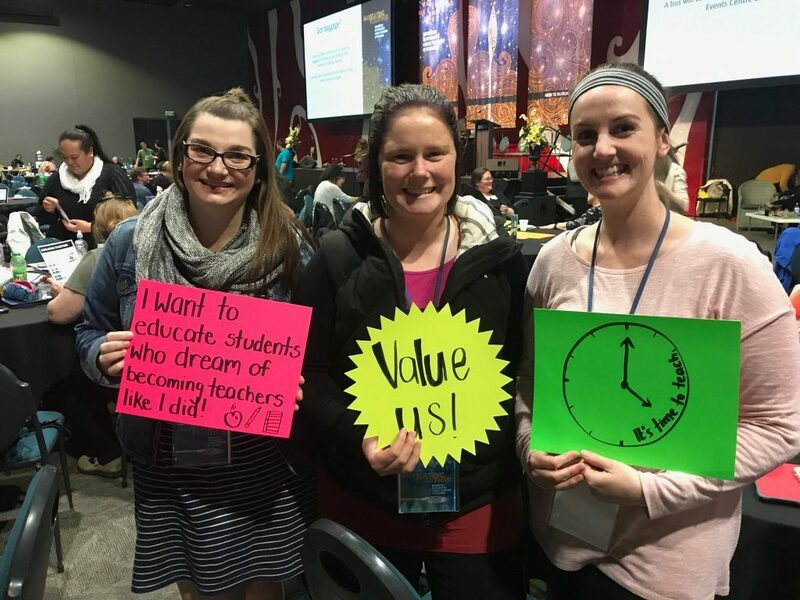 Our students are worth it and so are we. 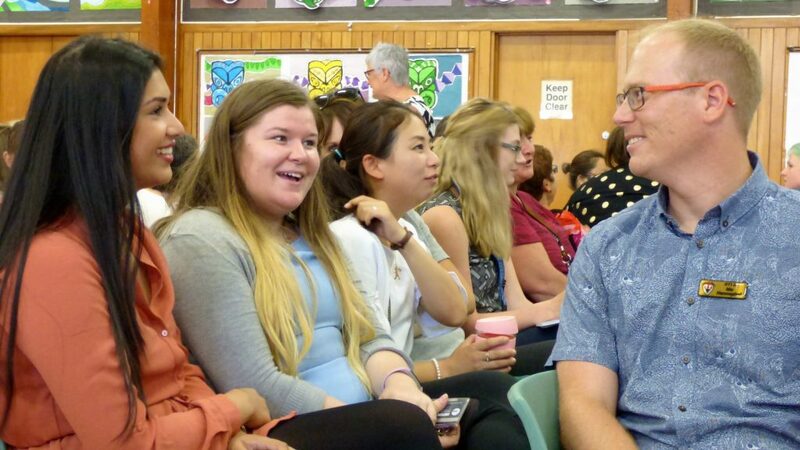 We're holding a round of joint paid union meetings between 6-10 May for all teachers covered by the Primary Teachers Collective Agreement and all principals covered by the Primary Principals Collective Agreement. In March 2019 the Ministry sent through new offers for principals and teachers. Members overwhelmingly voted to reject these offers in an electronic ballot in April. The problems we're trying to solve are big ones. But we've got a plan to negotiate and campaign for what's needed to make it right. 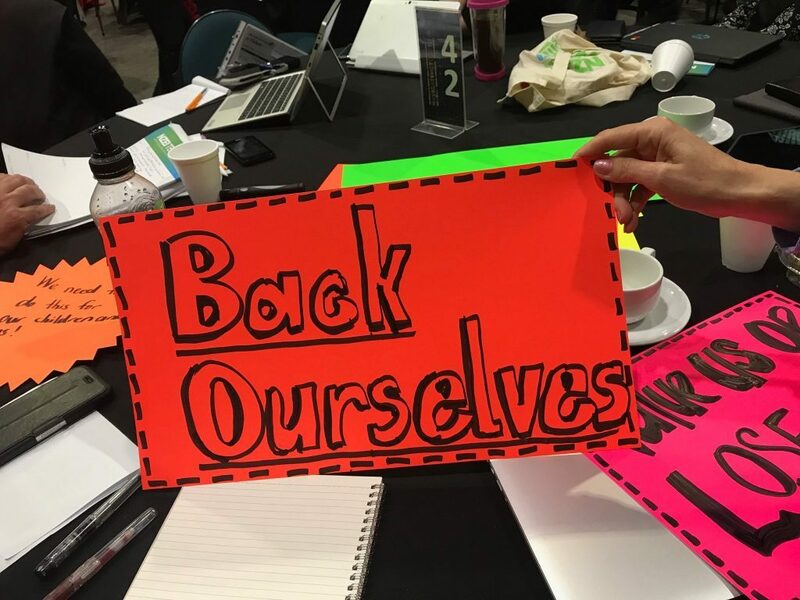 Sign our petition to Education Minister Chris Hipkins asking the Government to significantly improve their offers to primary teachers and principals. This campaign will not be won by the bargaining team. It will be won by many teachers and principals joining with their communities and showing the strength of support for the issues. See our action kit for resources. Principals' workloads are becoming more and more complex, and with that complexity comes an even greater workload. We've commissioned an ongoing study into principals' health and wellbeing. We asked principals how their 2018 budgets were shaping up. We've learned that many are planning to make cuts to teacher aides' hours and positions just to make ends meet for their schools. Meanwhile, there just aren't enough teachers to fill positions or do relieving work. 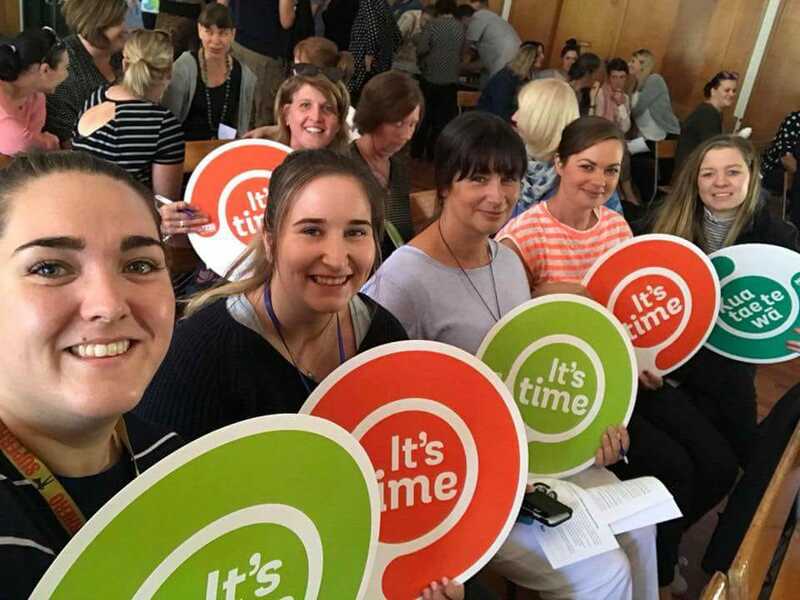 Both primary teachers and principals are determined to send a strong message to the Government and demand change so our students can have a teacher in every classroom, the learning support they need and teachers are recognised as the professionals they are. You can read more about what we’re asking for here. 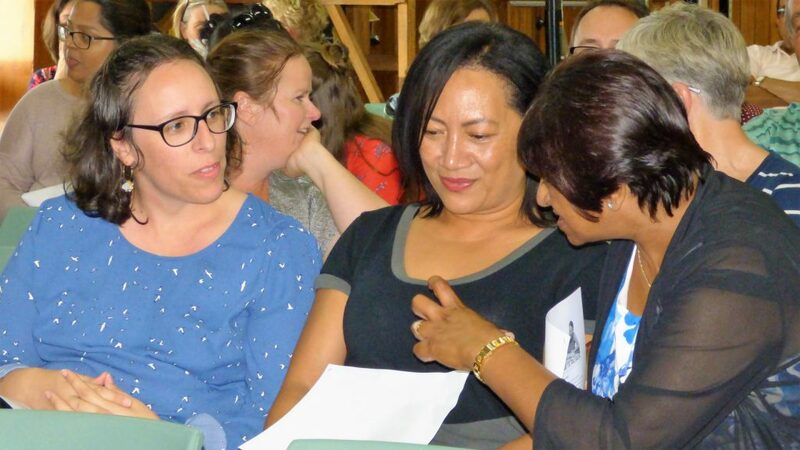 In 2018, both primary teachers and principals felt the Ministry’s offers did not address workload issues, extra learning support or ways to stem the growing crisis in recruiting and retaining teachers. They voted overwhelmingly to reject the offers and held full-day strikes on August 15. This year we have returned to the negotiating table with the Ministry in the hope of receiving an improved offer. The next chance to discuss the negotiations will be at a series of paid union meetings in the week of 18 March. 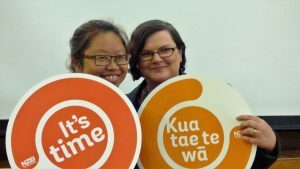 We have strong support from our communities and we continue to need the support of parents and whanau! Sign the petition to the Minister of Education now! So is this about a pay rise? 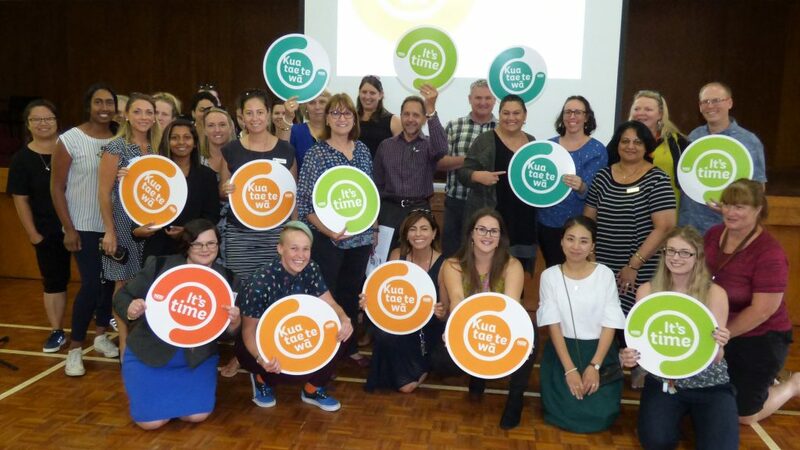 It's not the only issue, but members are clear – they want a significant pay rise. 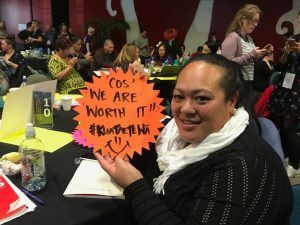 They’ve had years of 1 to 2 percent pay increases that are simply not keeping up with the growing demands of the job, and the cost of living in New Zealand, particularly in our big cities. The OECD has warned that our teachers are paid ten percent less than other New Zealanders with similar levels of skills and experience, and they’re paid much less than their peers overseas. NZ teachers have got some of the highest workloads, biggest classes, and lowest pay of any teachers in the developed world (OECD Education at a Glance, 2017). 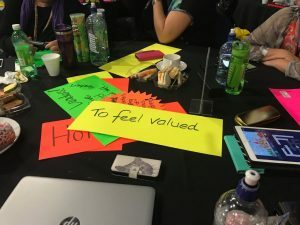 NZ is ranked 19th in the OECD for teachers pay based on purchasing power (Economist, Education for the Future Index).That’s well behind the UK, the US, Australia, Canada – in fact, all the countries we like to compare ourselves with. We simply can’t retain and recruit inspiring teachers with these kinds of workloads, or at this level of pay. If it’s not fixed, the teacher supply crisis will worsen and more children will be taught in doubled up classes of 50 to 60 kids. What do you mean by freeing teachers to teach? By far the biggest concern that teachers bring up is workload. They’re dealing with increasing Government requirements to constantly assess and measure children and, at the same time there are more children with high and complex needs in their classrooms without the extra support those learners need. 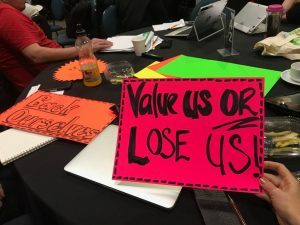 Modern learning environments and Communities of Learning also create more demand for adult-to-adult collaboration, taking time away from planning and assessment time. In addition, teachers are increasingly providing support to children who lack basic food and clothing, are transient or in poor housing. 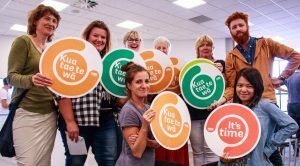 The result is teachers have less time and energy for their core job of planning and delivering programmes that motivate and engage children in learning. Teachers are at breaking point. We simply need more humans in schools, whether that’s specialist teachers, support staff or classroom teachers. In next year’s PUMs, members will come up with claims to reduce their workload so teachers are freed to teach. Our members are fed up seeing kids miss out, and they’re burning out while trying to stop that from happening. How are you going to get more teachers when there’s already a shortage? This is the Government’s challenge, and it’s been the challenge that it has failed to face up to particularly in Auckland. However, we do know that there are 120,000 registered teachers, but only about 100,000 practicing. Anecdotally, we hear of teachers leaving the profession for other work that’s better paid, and less stressful. 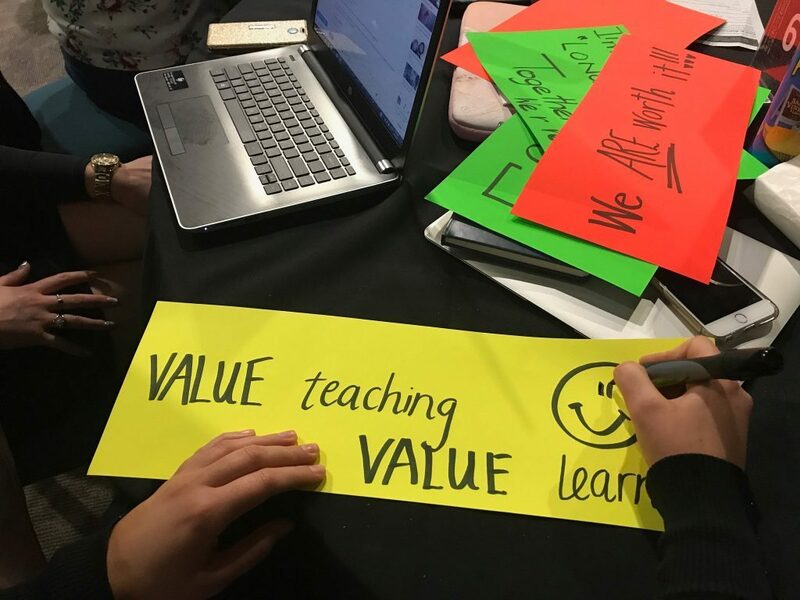 We believe that if teachers are valued, and respected, if their workload is realistic, and if they are paid properly many of these people would come back to teaching. Any changes in staffing will be phased in, and there’d be scope to give young teachers more permanent and fulfilling roles too, which would keep them in teaching. Members at NZEI Te Riu Roa Annual Conference declare that It’s Time to address long-standing workload, learning support and recruitment/retention (pay and career path) issues and commit to rolling out a major campaign that will be driven by members. Member leaders in all regions start working on local planning and development for rolling out the campaign. Paid union meetings are held for teachers and principals to discuss and vote on the final campaign plan, refined after member feedback. This includes the proposed approach to negotiations. Paid union meetings are held across the country for teachers and principals to vote on the offers received from the Ministry and to vote on potential strike action. Principals and teachers vote to strike for 3 hours. Te Kahui Whetu-Miro Māori members analyse campaign and identify some next steps for Māori, including whānau engagement. A strong call from members to lengthen the time for the strike is discussed in online fora. Members vote via an online ballot for strike action to be extended to a full day (up from 3 hours). Members across the country hold events to highlight the campaign to parents and explain why the strike is necessary. Primary teachers and principals hold full day strike action. The first strike in over 24 years. NZEI Te Riu Roa receives new offers for primary teachers and principals. Primary teachers and principals voted in an online ballot to reject the Ministry's new offers. Members vote to undertake a week of rolling one-day strikes in the week of November 12. After four days of facilitation, the Ministry of Education made new offers to teachers and principals. Primary teachers and principals hold a week of rolling one-day strikes. 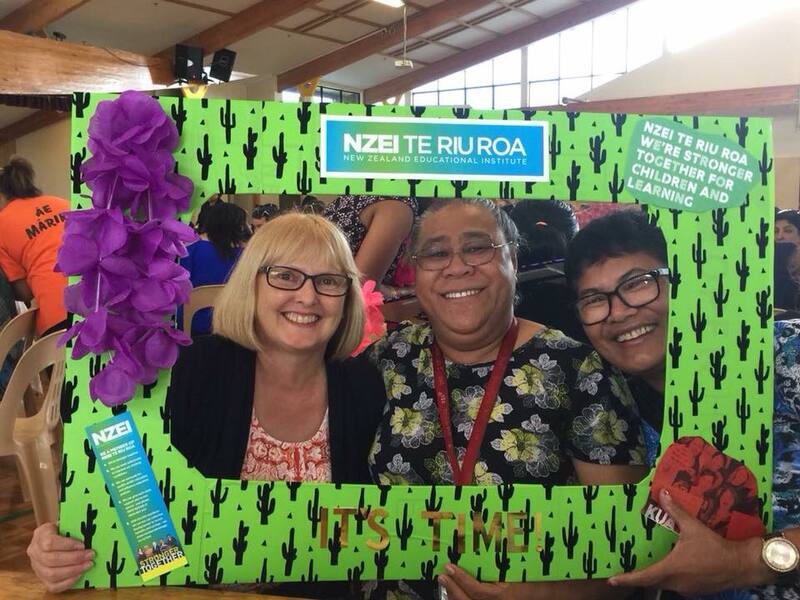 NZEI Te Riu Roa receives a new offers for primary teachers and principals. Primary principal and teacher members planned to hold a round of paid union meetings on the week of the 18th of March, during which a vote would be taken on the latest offers from the Ministry. The March paid union meetings are cancelled in the wake of the mass shootings in Christchurch. A decision is made to allow members to vote on the latest offers via electronic ballot instead.